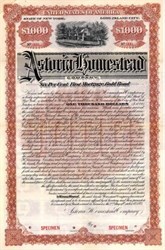 Beautifully engraved RARE SPECIMEN certificate from the Astoria Homestead Company. This historic document was printed by the American Banknote Company in 1893 and has an ornate border around it with a vignette of a house. This item is over 109 years old and has 40 unused coupons attached on the right side. 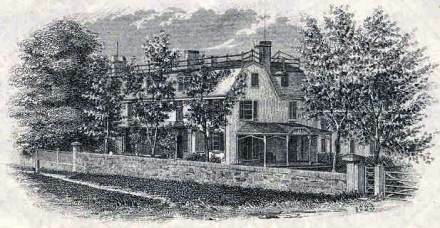 The certificate refers to Henry Ziegler and Charles H. Steinway, as Trustees. It also provides for a lien on lands, buildings, etc in Queens County.